VERNON EDWARD DAY RIDER, beloved son of Johnny (Ma Aggy) Day Rider and the late Verna Mae Day Rider nee Vielle, passed away on March 9th, 2018 at the age of 39 years. With a heavy heart we are saddened. RIP lil bro Vernon Edward Day Rider aka Edward White Calf, has left us all and making his great adventure, journeying on to meet our Mom, Verna Mae, Terri Lee, April Rose, Josey Cheyenne Lane, Nikita and our Grandmothers, Grandfathers and The Good Lord. Please Bless Him and humbly accept him into your loving arms Precious Mary, AMEN. Vernon was born in Cardston, raised in Farm 4. He had many adventures growing up in Farm 4, lots of mischievousness with his cousins CC,JB, Andy Jr., Jesse and his brother Johnny Jr. Hanging out with the cousins playing in the trees, and all around the hills/coulees. Vernon attended the Standoff Reserve Schools. Vernon was Mama’s boy too, he loved our mom, his eyes would light up when he talked about Mom. He inherited artistic skills from both Mom and Dad. He was made to ride and pushed by Dad, Vernon excelled in the rodeo world. He was a member of the IRCA & PRCA & IPRA in boys steer riding. He rode pro and won many championship buckles. Dad would send Vernon down the rodeo trail with family members, with his cousin Jesse and travelled with Uncles & Aunties, Leonard & Dorothy and Jeff & Doreen. Vernon was blessed with the most proud moments of love a Dad can carry in his heart, with two beautiful daughters Shaylize and Tiara, in his life he learned what love means as a Dad. Vernon was a jack of all trades, had a lot of perseverance to learn, to live independently from working alongside cousins, uncles, bro-in-laws, Leonard Day Rider, Jesse Day Rider, Tim Begishe, Will Wood, David Sharp Adze, Jack Gallant, and got plumbing skills watching and working with Gary Little Bear. He worked in Standoff and Brocket. He was a self-taught entrepreneur making arts/crafts and taking his crafts down the highway to Southern Alberta and Montana. He loved travelling down to Browning, Montana to sell his craftwork and stop in to see his favourite friend Darryl and purchaser of his precious backrests at his craft store. Our Mom introduced these contacts and places where she sold her moccasins and tufting also in the Browning area. Vernon would always stop in to say Hi to our Uncle Willy and Fatty would welcome us into his home for a friendly quick visit. He really enjoyed eating from the Town Pump and stocking up on munchies. Did a lot of handy man work for Hugh & Jean Tallow, Wendy Tallow and Gary Little Bear, and there for our families too. He was always doing the best of his abilities to help around the house to create any easier quicker way of doing things, from yard work to building fences and killing off gophers, painting, plumbing, and mending houses…endless skills. He was taught hard working ethics by the best man our Dad. Left to cherish Verno’s memory is his loving father Johnny Day Rider, “ Ma Aggy”, his two precious daughters Shaylize Day Rider and Tiara Grier; his goddaughter, Ashley Davis. He is also survived by his siblings; Lisa Marie (Gary), Norma Jean, Johnny Jr. (Tammy), Tommy (Lisa), Andy Jr. (Randy), JB (Lisa), and Anita; his best friends David Sharp Adze, Henry Bastien, Orlando Calling Last; cousins, Casey Vielle, Chris Eagle Tail Feathers and Tibbs Little Bear. Verno had many special ladies in his life that loved him for himself and took time to look out for his well being and prosperity. His love Candyce Holy Singer and Family, Special Friend Elana, Wendy Tallow, Auntie Wilma Vielle, Auntie Diane Vielle, cousin Stacey Hoof. He kept up a special bond with his siblings, cousins and siblings x-in-laws so his relationships with them lasted. Verno was a very private person and enjoyed his circle of family and friends. There are many stories to share from family and friends, so feel free to share these at the Wake Service on Friday Night. Vernon was predeceased by his mother, Verna Mae Day Rider nee Vielle; sisters, Terri Lee, April Rose; nieces, Josey and Nikita; paternal grand parents, Barney & Rosie Day Rider; maternal grandparents, Evelyn Night Gun, Francis & Helen Vielle. A Wake Service will be held at the White Calf Hall, Stand Off on Friday, March 16th from 5:00 - 11:00 pm. 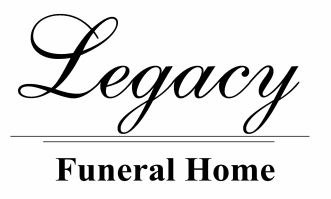 The Funeral Service will be at the White Calf Hall on Saturday, March 17th at 12:00 noon.